Today is a hard day. There is no reason for this day to be harder than any other day. It’s not a holiday or a birthday. It’s not an anniversary or a special occasion. It is just a day. But on this day, my heart is aching. On this day, the Lincoln-shaped hole in my heart is feeling very agitated. My Emtpy Arm Syndrome is flaring up today. Yesterday was Christmas. It came and went, and not a tear was shed. Link’s daddy and I spent the holiday a little differently than we usually do. We stayed away from family. It was self-preservation: Christmas is such an exciting time for children, and our child would be missing from the celebrations. Instead, we spent the day together. We drank coffee and watched a Christmas Story, with LincolnBear between us on the couch. 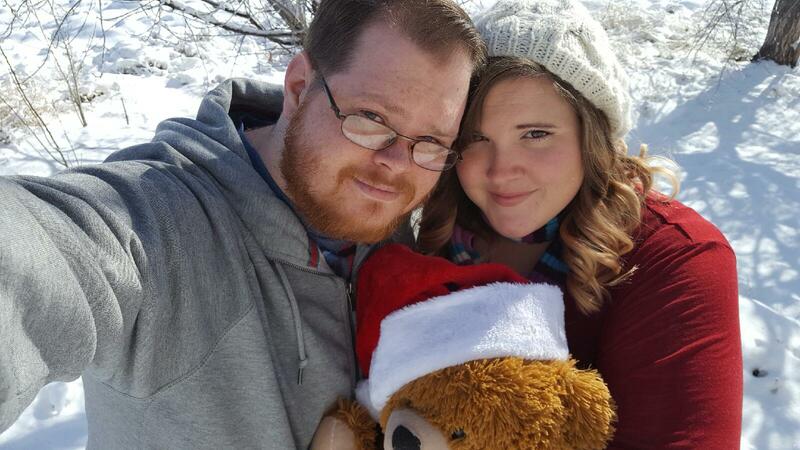 We bundled up and ventured out into the snow. We went to the movies. We ate popcorn and candy. We came home and baked a pumpkin roll, and cooked a small Christmas dinner. We watched reality TV. It was a quiet, peaceful Christmas. We missed our boy, but we enjoyed our day. Three days prior to Christmas, was my birthday. And, more importantly, it was Lincoln’s birthday. I had been preparing myself for that day. 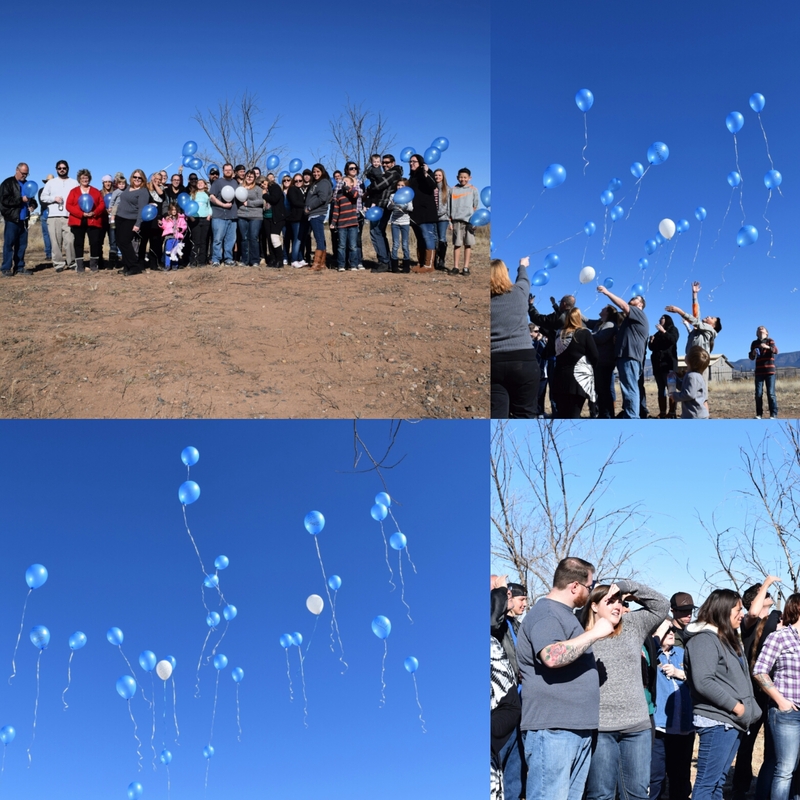 We had a balloon release with close friends and family a few days beforehand. We cried, but we celebrated. On the day one year from his birth, I expected a painful blow to the chest. But I didn’t get one. What I got instead was a day filled with laughter and celebration. I woke up that morning with cheer in my heart. My husband had been talking me through this birthday for weeks prior: Celebrate yourself. Celebrate Lincoln. On this day, he made you a mother. I was surprised to wake up with this exact spirit on that day. I had energy. I was full of life. For the last year, my husband has cooked breakfast every single morning. I haven’t had it in me. But on the morning of Lincoln’s birthday, I wanted to make waffles. I turned on music and danced around the kitchen, splashing batter as I mixed. I spent time with Lincoln that day. I slowly turned the pages of his photo albums and soaked in his beautiful face. I opened up his memory box and lifted out each precious item. I opened up the little piece of gauze that contains a little tuft of his hair. I pressed it to my heart and I cried. That last tangible piece of my perfect baby brought the pain to the forefront of everything. I told him how much I love him, and I got back up. I needed that moment with my boy. But then I took a shower and refreshed. I visited with my sister and her son. My best friends came over, with pizza and chocolate cake in tow. We played cards in our pajamas and laughed the night away. It was a beautiful day. Losing Lincoln was a complete shock. Those first few months were the worst of my life. Every day was a hard day. Every day, I cried like I never had before. I felt like the rest of my life would have daily hard days. But eventually, the hard days were every other day. And then they were a couple time per week. And then even just a few times per month. It does get a little easier. But the hard days still come. Lincoln’s birthday was not a hard day. Christmas was not a hard day. But here I am. A year has passed, and hard days will still come. When we, one day, have more children, hard days will still come. Five years will pass, and hard days will still come. In the years to come, we will get new jobs, move to different places, experience new things, live every moment to its fullest….and hard days will still come.